BGI provides customized warehousing and distribution management services specifically tailored to your needs and requirements. 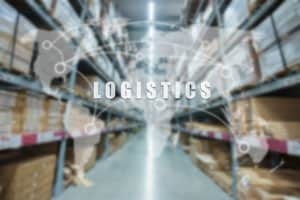 In a growing trend, companies are increasingly outsourcing some or all of their logistics management, warehousing, or distribution services to boost efficiency and cost-effectiveness. As a third-party logistics warehousing and distribution management provider, BGI has the right combination of services and a strong network of partners to move your goods more quickly through the supply chain lifecycle. BGI’s warehouses are located near ports of entry and in key locations around the U.S. Including the Port of Los Angeles and the Port of Long Beach, which, are the two busiest seaports in the United States. This shortens shipping time and gets your products to your customers faster. Outsourcing your distribution services to BGI can streamline your supply chain by giving you quick, cost-effective and reliable results. All you have to do is tell our team of logistics experts what you need and we’ll take care of the rest.